Heat oven to 300ºF. Lightly grease cookie sheet. In large bowl, beat egg white on high speed until foamy; beat in salt. Gradually beat in brown sugar until thick and glossy. 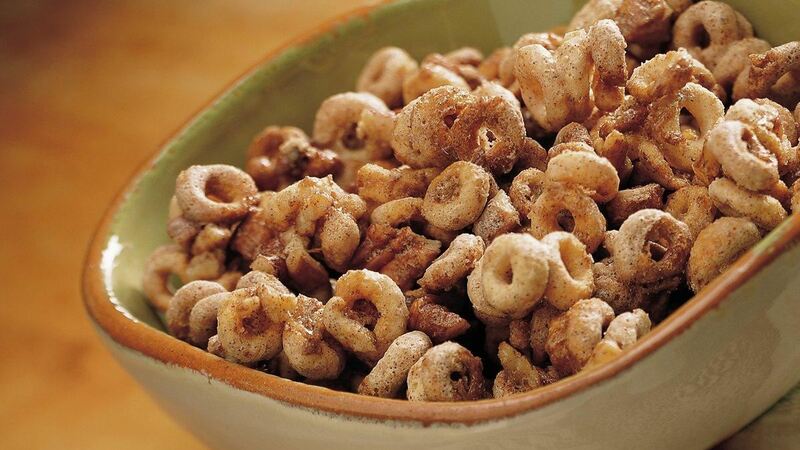 Gently stir in cinnamon, cereal and pecans until completely coated. Spread as thinly as possible on cookie sheet. Bake 12 to 15 minutes or until set. Immediately remove from cookie sheet to cold cookie sheet or large pan. Cool completely, about 30 minutes. Break into pieces. Store in airtight container. Did You Know? : The beaten egg white in this recipe helps hold the cinnamon and brown sugar to the cereal and nuts. Nuts about Nuts: Replacing saturated fats with unsaturated fats from nuts may help lower blood cholesterol. But fats are high in calories so keep portions small.